Category: Promotional Products. Sub Category: CORPORATE GIFTS. 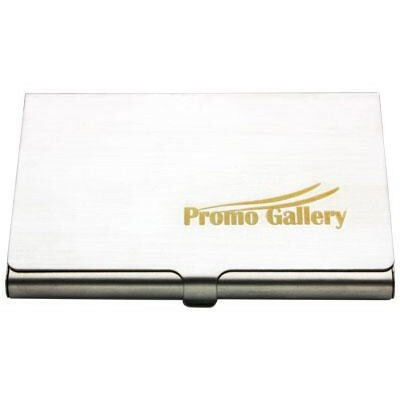 Features: Business card holder with brushed stainless steelfinish. Stainless Steel. Decoration option: Pad print, Laser, engrave. Printing Size: 50mm x 30 mm. Laser Engraving Size: 50mm x 30 mm. Carton Size(CM): 38x22x29. Carton Weight(KG): 7. Carton Quantity: 250. Colours: Silver. Price includes : (1 colour/ 1 position).